Deed Book C, page ___, Logan County Clerk’s Office, Logan, WV. This property is located in present-day Lincoln County, WV. Deed Book C, page __, Logan County Clerk’s Office, Logan, WV. Richard Elkins is recorded as the first permanent settler of Harts Creek, arriving in 1807 or 1815. He died in 1854. I descend through his son Harvey. Deed Book C, page __, Logan County Clerk’s Office, Logan, WV. James Toney was the son of Poindexter and Jane (Lilly) Toney. I descend from three of his children. Deed Book C, page __, Logan County Clerk’s Office, Logan, WV. This property is located in present-day Harts, Lincoln County, WV. Deed Book C, page 376, Logan County Clerk’s Office, Logan, WV. Elias “Jake” Adkins was the son of Elias and Susannah (Fry) Adkins. Letty Adkins was the daughter of James and Nancy (Gillispie) Toney. Henry Adkins was the son of Isaac and Elizabeth (Adkins) Adkins. Jake and Henry were first cousins. I descend from Henry’s brother, Isaiah. Deed Book C, page 377, Logan County Clerk’s Office, Logan, WV. This property is located in present-day Lincoln County, WV. Was born in Monroe county, (now) West Virginia, February 3, 1832, and settled in Lincoln county in 1864. His parents are Elijah Alexander and Mary (Carper) Gartin, who settled here in 1850. August 28, 1856, in Logan county, (now) West Virginia, the Rev. J. Workman joined in wedlock Isaac G. Gartin and Elizabeth Margaret Toney. 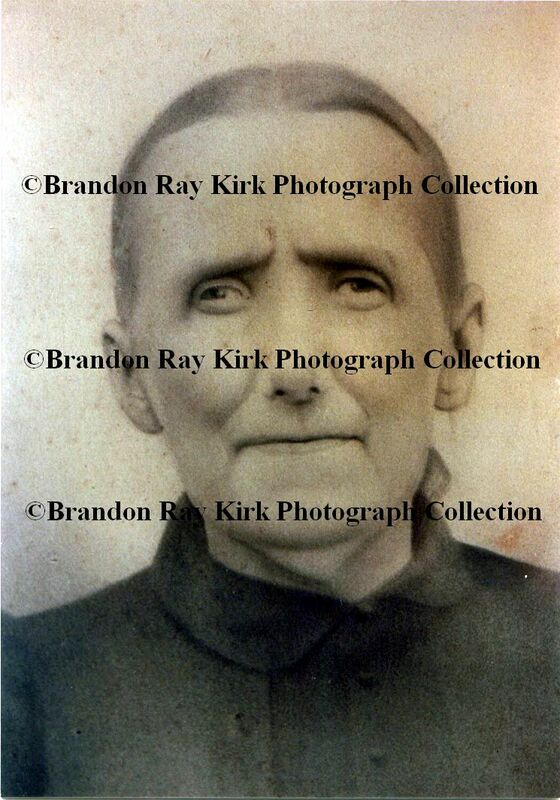 She was born in Kanawha county, (now) West Virginia, October 15, 1835, and she is a daughter of James and Nancy (Gillispie) Toney, who came to this county in 1843. Mr. and Mrs. Gartin have been blessed with six children: Eliza Ann, born October 3, 1857, married and residing in Lincoln county; James Alexander, September 12, 1860, married and lives in this county; Susan Jane, June 22, 1864; Nancy Caroline, September 12, 1867; Elizabeth Agnes, February 18, 1872; Martha Frances, March 11,1 876. Isaac Gartin was justice of the peace for four years in Hart Creek district, and secretary of the board of education six years, also a member of that board for a number of years. Mr. Gartin volunteered in the State line troops of Virginia, and served eight months, when it was thought best to abandon the brigade to which he belonged, and he came home. They were afterward ordered to meet an officer in Logan C.H., who would muster them into the regular service, but this failed, and Mr. Gartin again returned to his home. Harry P., a brother of Isaac G., a volunteer in the Confederate army, was taken sick and died at Meadow Bluffs, Greenbrier county, after one year’s service. Isaac Griffith Gartin owns a fine farm at the head of Little Hart creek, and the land produces well in grain as well as fruit, and it contains iron ore and fine building stone. Address, Fourteen, Lincoln county, West Virginia. Source: The West Virginia Encyclopedia, Vol. 7 (Richwood, WV: Jim Comstock, 1974), p. 134-135. John W. Runyon deed to Canaan Adkins, 06 February 1888, Lincoln County Clerk’s Office, Hamlin, WV, Deed Book 52, page 248. Assigned to John H. Adkins on 12 May 1890. Assigned to Salena Vance on 15 March 1894. Lettie McKibbon Adkins (1833-1904), daughter of James and Nancy (Gillespie) Toney and wife of Enos “Jake” Adkins. Jake and Kib lived at Douglas Branch in present-day Ferrellsburg, Lincoln County, WV.